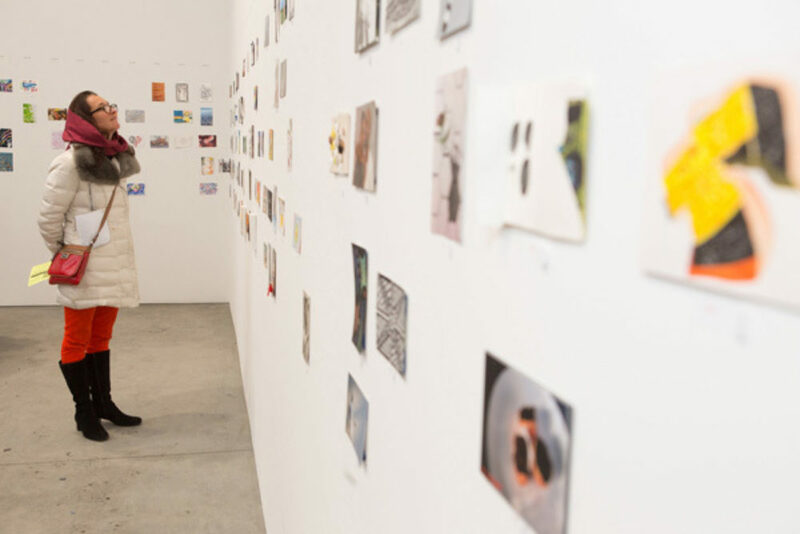 Postcards From The Edge was an exhibition and benefit sale of over 1500 original, postcard-sized works of art by internationally renowned and emerging artists. Each piece was exhibited anonymously, and the identity of the artist is revealed only after the work is purchased. This project made an effort to encourage HIV+ artists to not only showcase, but sell their work to prospective enthusiasts and event-goers. THANK YOU: Sikkema Jenkins & Co., Canson, artnet, Wine & Spirits, X-ing Design, Steven Rosen Photography the Imperial Court of New York and all the participating artists*. By participating in Postcards From the Edge artists and collectors support the activities of Visual AIDS, enabling the organization to produce AIDS-focused contemporary art programs and provide supplies and assistance to artists living with HIV/AIDS, many who are unable to continue producing work without such support. * NOTE: Participating artists will be contacted by post or e-mail 4-6 weeks after the event regarding sales and collector information. Unsold work will be returned to artists, or as indicated on the submission form. Thank you again for your support and patience - Postcards From the Edge - is only made possible by the generosity of artists like you.